I admire the restraint Paperskater has had in waiting until now to choose a word that has something to do with ink. Alas, I’ll be tangential to the topic of squid in this post. In 2008, I arranged for a group of skeptical travelers to experience the Galapagos. While we expected to encounter a variety of unique and unusual animals, one of these was a complete novelty. Our first afternoon, we were treated to up-close encounters with green sea turtles and sea lions, including a very impressively-sized “beach master.” These were thrilling engagements, but nothing compared to what would experience later in the week. As we were slowly sailing between islands the first night, I noticed movement in the air around us. In the utter darkness, sea gulls were flying about the ship while screaming and hissing at each other. And some of them had tentacle-like appendages on their beaks, giving an idea of what horrors might have been unleashed upon Dorothy had her tale been written by H.P. Lovecraft. The gulls we were seeing next to our ship were quite different. 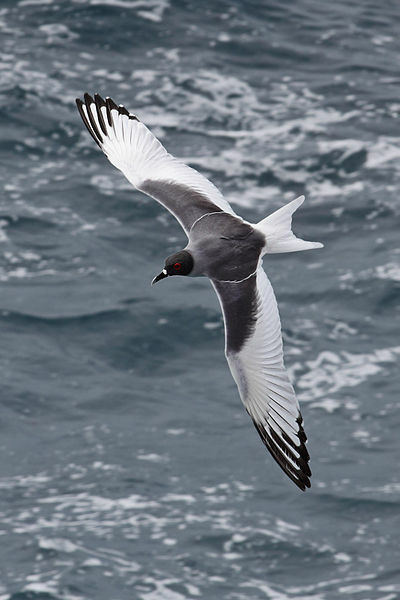 They were Swallow-Tailed Gulls, a name which belies a creature with fantastic abilities. In addition to the obvious “swallow tail” which makes it look more like a tern than a gull, the bird has a number of interesting adaptations that seems more worthy of mention. First, it’s completely pelagic, except during breeding. It manages to eat and sleep on the waves for most of its life. Like all gulls, they can drink seawater. Second, it is the only gull that feeds only at night, and yes, it can see in the dark. Around its deep black eyes are fiery rings of scarlet (indicating they’re of breeding age) and a special structure in their eyes called Tapetum lucidum redirects light over the retina. Cats have a similar structure. But most impressive to me was what they were doing in the air around us. While gulls will commonly follow ships in the hopes of fish scraps being thrown overboard, these birds had no interest in handouts. We were merely a resting spot for them as they dove beneath the waves to catch… squid. These were hunting gulls, and quite successful ones at that. Upon learning this, my images of tentacled harbingers of the end times were dashed, but my appreciation reached new heights. Given time, evolution produces wonders. 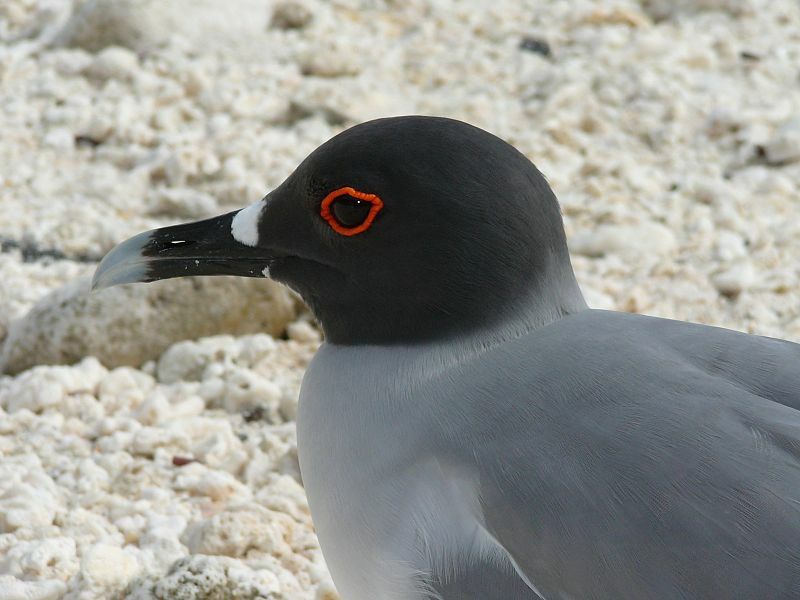 I’m happy to be returning to the Galapagos this coming March, and while others might be impressed by the famed tortoises and fratricidal blue-footed boobies, I’ll be thinking of the calamari loving gulls. ‹ It’s not the end of the world if Romney wins….